Ioan Gruffudd was born on October 6, 1973 in Cardiff, Wales, UK to educators Peter and Gillian Gruffudd. He has a brother, Alun, who is two years younger and a sister, Siwan, who is seven years younger. He got got his start at age 13 in the Welsh soap opera "People of the Valley" (1974). He attended the Royal Academy of Dramatic Art from 1992 to 1995, and was then cast as the title role of the television remake Poldark (1996) (TV). 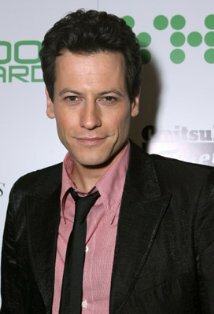 After playing Oscar Wilde's lover John Gray in Wilde (1997) and Fifth Officer Harold Lowe in Titanic (1997), Gruffudd became a leading man in the Hornblower series of television movies between 1998 and 2003. He then played Pip in the big budget BBC production of Great Expectations (1999) (TV). Other film roles include 102 Dalmatians (2000), Black Hawk Down (2001), King Arthur (2004), Amazing Grace (2006), Fantastic Four (2005) and Fantastic 4: Rise of the Silver Surfer (2007).